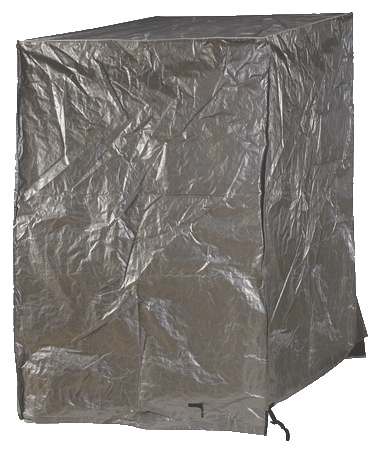 Made of heavy 5.4 oz / 12 mil woven polypropylene tarp material. Seams are sewn with mildew-resistant thread. Reflective silver on the outside & UV-resistant black on the inside. Straps & buckles on the bottom to cinch; flaps fold up to make room for forklift blades. Clear pocket on outside to ID contents. These are as tough as they come. With a little common-sense care, they should last for a year or more.